Not much of a change over from May on the NPD front. Mario Kart 8, the PlayStation 4, and Watch_Dogs are all at the top once again, with very few changes among the rankings. Once again, Watch_Dogs took the month as the best selling overall game across all five of its major platforms. However, despite taking second overall, Mario Kart 8's Wii U SKU was the best selling individual game of the month, outselling each separate copy of Watch_Dogs with 470,000 units. 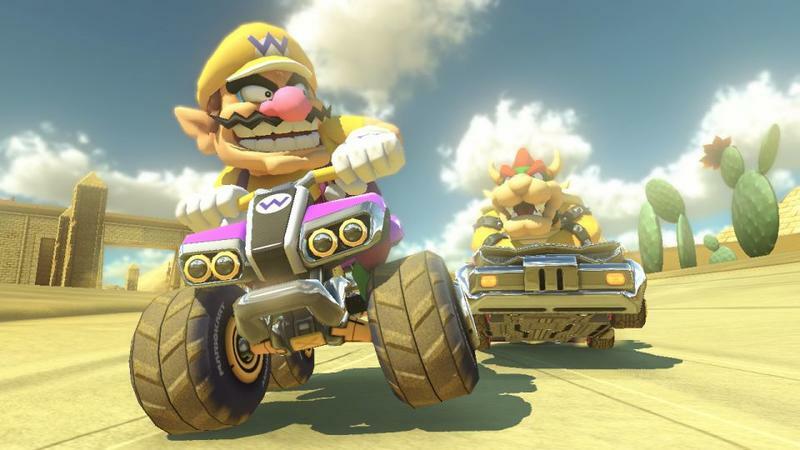 The popularity of the Mario Kart franchise still keeps it afloat, with Nintendo claiming it boost Wii U sales 233 percent year-over-year. However, the ongoing deal with a free Wii U game most likely can also attribute to its success. Interested parties can still register Mario Kart 8 and get a free Wii U game from Club Nintendo. On the hardware front, Sony still reigns supreme with the PlayStation 4. Microsoft claimed that the Xbox One sales have doubled from month-to-month since the Kinect-free $399 option went live on June 9th, but it still was not enough to counteract the PlayStation 4's momentum. The two will carry this path into a dry holiday season, where is it anybody's chance to take the lead. Overall, hardware sales were up two hundred percent over June, 2013. Software was up 47 percent, but new releases were actually down 67 percent without the aid of a new huge hit like The Last of Us.